So had high-quality public education in California. Seen as a national leader in the classroom during the 1950s and 1960s, the country’s largest state is today a laggard, competing with the likes of Mississippi and Washington, D.C., at the bottom of national rankings. 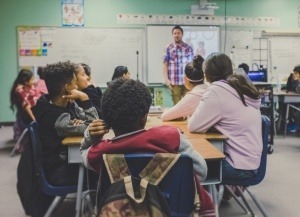 The Golden State’s education tailspin has been blamed on everything from class sizes to the property-tax restrictions enforced by Proposition 13 to an influx of Spanish-speaking students. But no portrait of the system’s downfall would be complete without a depiction of the CTA, a political behemoth that blocks meaningful education reform, protects failing and even criminal educators, and inflates teacher pay and benefits to unsustainable levels.